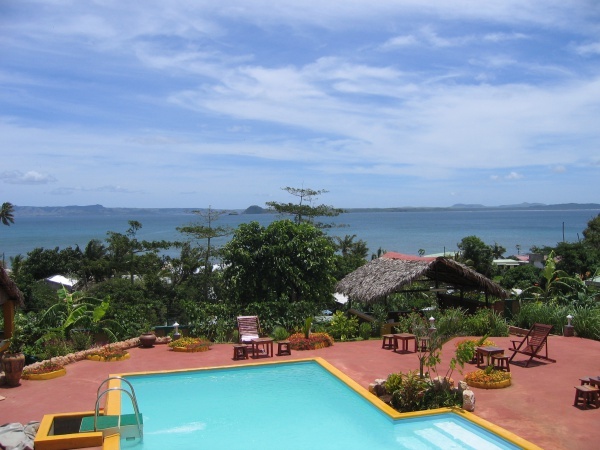 The hotel La Case en Falafy is located in the centre of Ramena village, 18 kilometres north of Diego Suarez. The main and original hotel ground offers a very good restaurant, bungalows and a swimming pool. 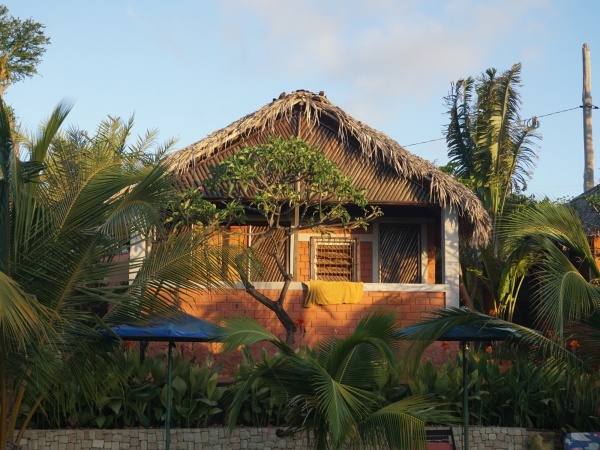 Close by are newer bungalows and a swimming pool with a view over the bay. There is also an annex on the beach close to the pier. La Case en Falafy is where most tourists visiting Ramena stay. 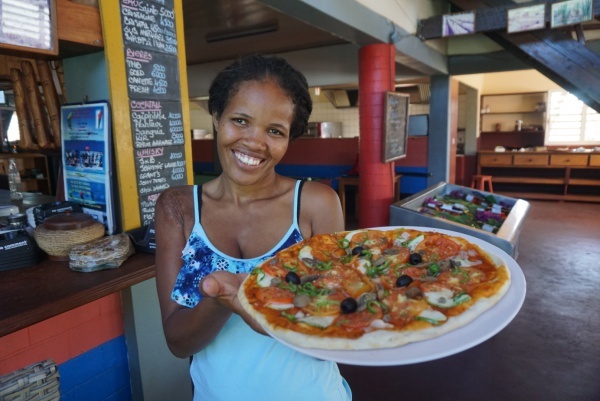 The owner Bruno and his wife Lala take great care of their guests and are always very friendly and welcoming. 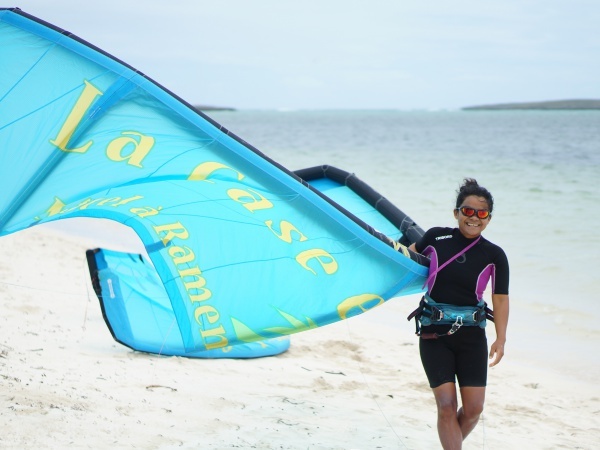 Lala, an avid kitesurfer, offers kitesurfing lessons and excursions from the hotel to some of the kitesurfing hotspots surrounding the area. For further information, visit La Case en Falafy Kitesurf. The name of the hotel can be translated as follows: Falàfa is Malagasy and means "wall panels made of Traveller's Palm stalks". La Case en Falafy is therefore a house made of such panels. This page was last modified on 7 November 2018, at 12:02.